A gannet is entangled in a fisher’s net. 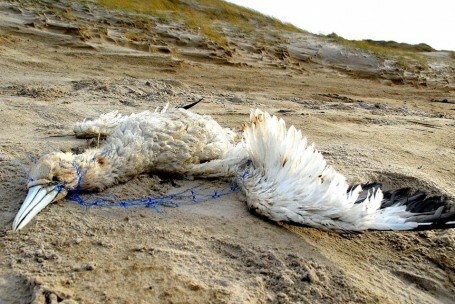 The birds suffer particularly from the littering of the North Sea. Photo: Jan Stok, The Netherlands.